Read – I haven’t got a book on the go at the moment but I’ve read a lot to Sun and Shine though. I’m trying not to say no when they ask me to read to them as it’s so easy to find myself telling them I have other things to do and that I’ll read to them later. There’s been a lot of requests from Shine for farmyard tales. She loves Rusty, Poppy and Sam and looking for the duck. We’re still working through the Roald Dahl collection with Sun and we’re currently on George’s Marvellous Medicine, which I think he’s enjoying. Also managed to find time to finish the latest issue of Frankie on my iPad. LOVE that mag. Watched – Current guilty pleasure viewing is the Aussie version of My Restaurant Rules. Man is it bad! I am drawn to the Aussie accents though. I just can’t help myself. Also remaining loyal to Masterchef. Venison is the new foam this series. Seems every second plate cooked involves venison in some way. 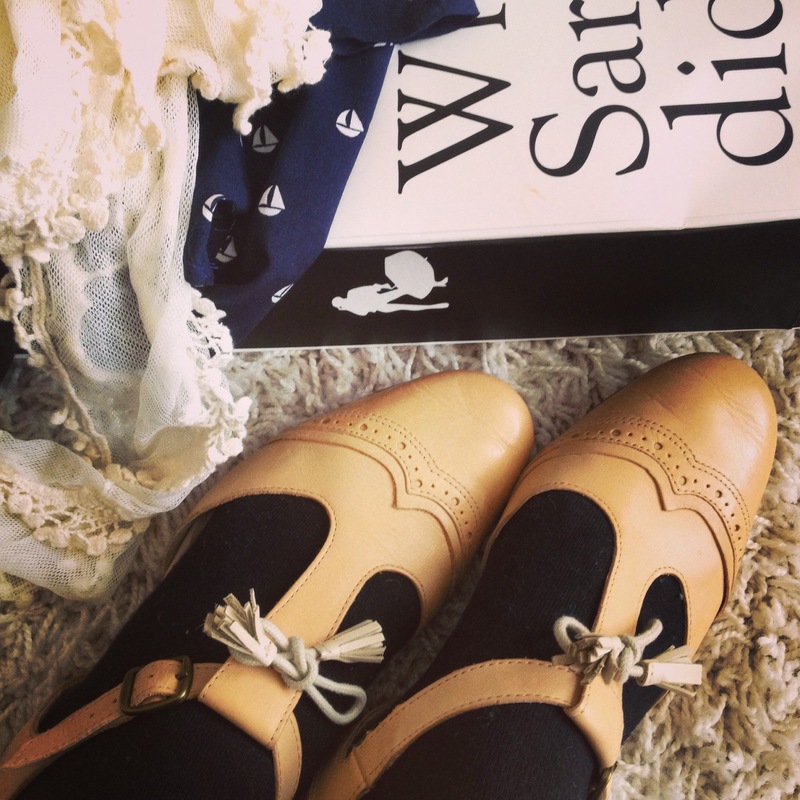 Wore – Let me introduce you to my new shoes. Brogues meet mary janes with heart shaped curves. Hello, what’s not to love? Perfect vintage style loveliness. They remind me of agnes & norman shoes. I’d love to get my hands on a pair of these teal beauties. Heard – On my playlist this week has been Daughter. Mainly the album from last year, If You Leave. You should know me well enough by now to know I am not the person who’s listening to the very latest tracks. It takes about a year to trickle into my consciousness. Made – I finally got my sewing mojo fired up and worked out how to thread the sewing machine I got as a Christmas gift. 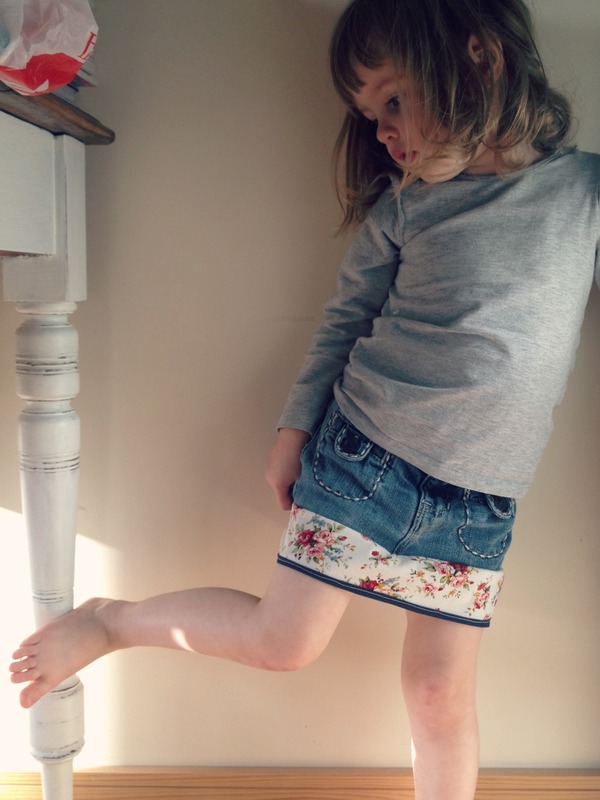 Project 1 was this little skirt for Shine. Inspired by Kat’s Jeans(kirt), I wanted to add a frill to an old pair of Shine’s jeans that were too short for her. I ended up making two versions. This was the first attempt and as you can see there’s little in the way of frill. Whoops, not sure how I underestimated how much material was needed to create the gathering for a frill but I did. I should post the second attempt when I get a chance, it worked out loads better and I’m excited about trying something a little more adventurous next. Stay tuned for more sewing (mis)adventures. 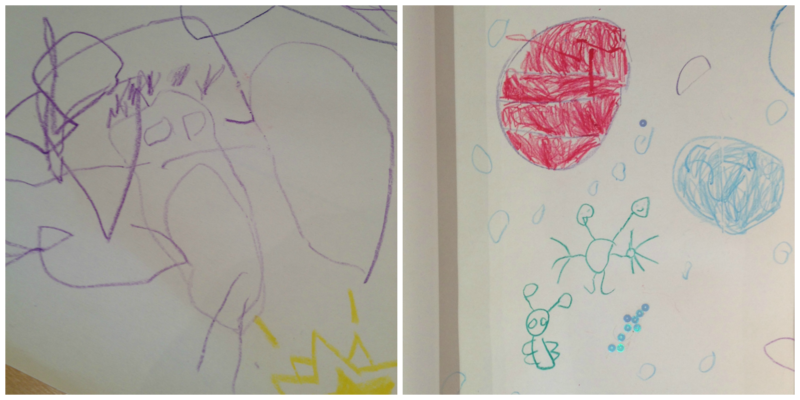 and lastly…Sun and Shine sat together for ages on the weekend drawing aliens and spaceships. Shine’s aliens to the left, Sun’s to the right. Shine loves to draw but normally Sun joins in for about one minute before declaring he’s finished and running off, so it was lovely to see them enjoying getting their art on together. Want to join the #littlelove party? 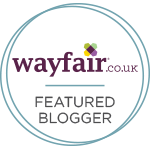 Head over to butwhymummywhy for the lowdown. Ok, two things. ONE I need those shoes, TWO can you make me a skirt like that?!! Ahaha, don’t think you’d want me to sew you a skirt if you saw it close up 😉 The shoes are J Shoes but you might have to hunt a bit, think they were last season as they were on sale. I adore Daughter. Their CD was on in my car for months, so chilled. Love Shine’s skirt, you’re so clever. I wish I was more creative and skilled when it comes to sewing projects. And those shoes!! Oh my. LOVE. Your shoes are gorgeous. And I love Roald Dahl, we read them over and over. Ooooo I love those shoes! They are so pretty. Well done on the skirt too, it’s amazing! You’re very clever.